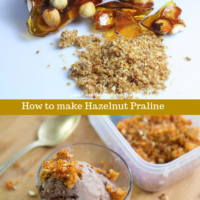 Hazelnut Praline sounds so fancy and it is but it so easy to make you just wont believe it. 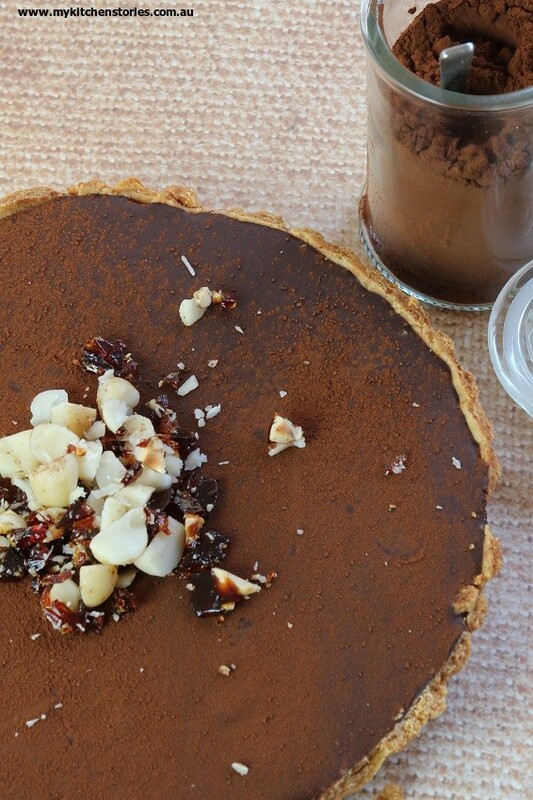 Follow this recipe and video guide and you will be sprinkling praline onto every dessert you make! Praline seems a little daunting to make . It’s hot sugar I know and can burn quickly but just remember it can be discarded and you can start again if you are a beginner. There is no harm done to get rid of a little sugar. the trick is to make sure you have everything ready. The nuts, the tray and your attention. Praline is the best thing to have on hand to dress a cake add crunch to a ice cream or a desert. I always have a container of praline. Praline keeps well in the freezer stored in an airtight container ready to be called into service to work it’s crunchy magic. 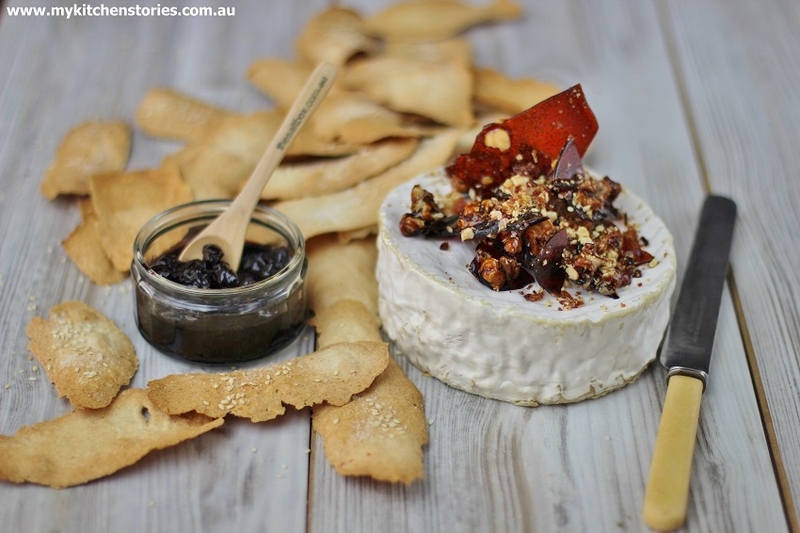 You would be surprised to know how many ways you can use Praline including with cheese and even more surprisingly with pates and mixed with crunchy bacon pieces as a topping for savoury dishes. 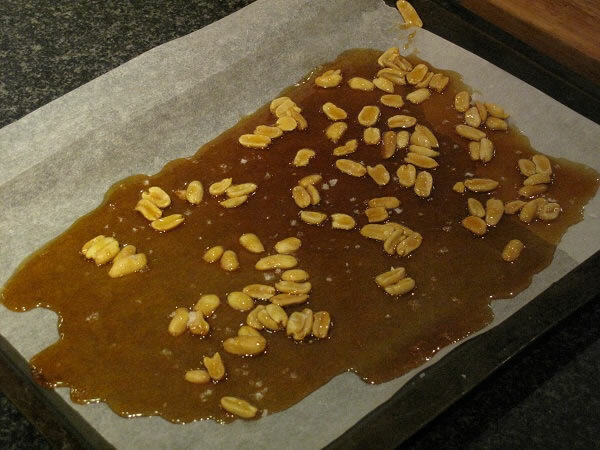 You can make praline with or without nuts. I like hazelnuts for Praline although any nut is great. Peanuts with a good sprinkling of sea salt is great on chocolate desserts and walnuts in praline are great for soft cheeses. Surprising isn’t it?. If you want to keep nice shards of praline be sure to break them into large pieces and put them in a container and freeze them. 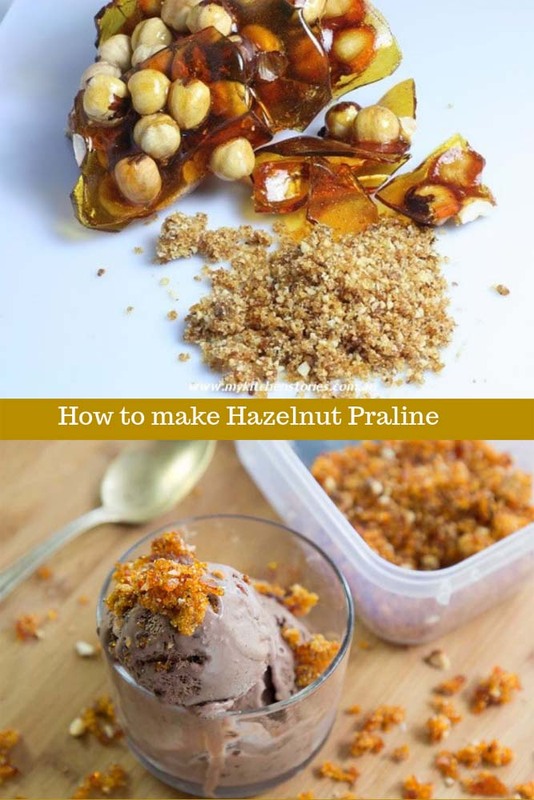 This recipe is the very simplest praline you can make and is really just burnt sugar so it will melt and get sticky if left out of the fridge or freezer. Don’t stir the sugar as it is cooking, it will crystallise. Have EVERYTHING ready before beginning. Now watch the video and give it a go. Praline just takes practise. It's cheap to make. Make it 3 or 4 times with out the nuts. Place the sugar in a thick bottomed pot with the water and lemon on medium heat. Swirl a little to spread the water to start, and make sure all the sugar crystals are covered with the water as the pot heats. Cook until starting to colour around the edges. Swirl the pot to stop the sugar burning in spots and to gather up any unmelted sugar crystals, 6-8 minutes, dont stir the pot. It may look quite crystally at this stage but this should pass. Pour quickly onto the prepared tray ( it sets very fast) and push out a bit with the edge of your pot to spread. DO NOT TOUCH IT. Using a fork or spoon could help but they will start to get sticky and make a mess. it is easier to pick up the tray and tilt back and forth to help the liquid sugar spread. Some people like to use a pastry brush and a cup of cold water to wash down the crystals that form on the side of the pot. The crystals if formed can cause the whole pot of sugar to crystallise into a mass. If this happens don't touch it, it's hot. It can be fixed but for this small amount it is better to start again. For larger more expensive amounts of sugar wet the pastry brush and dab at the sides of the sugar as it is cooking to dislodge sugar that may be on the sides of the pot after swirling. This will cause steam so beware. This can happen and it is why I use lemon to stop the crystallisation. It's cause I am a bit lazy. Never ever touch the sugar and be careful not to drop any on your skin. don't use your fingers to taste or to stop drips etc. This will burn you! The video makes it look so easy, I think even I might be able to make it! YUM! Wow this looks so great, I’ve never made praline before! Haven’t you?. I love it is great. Wow! The presentation recipe are so good; thank you!!! Your dish look so delicious! 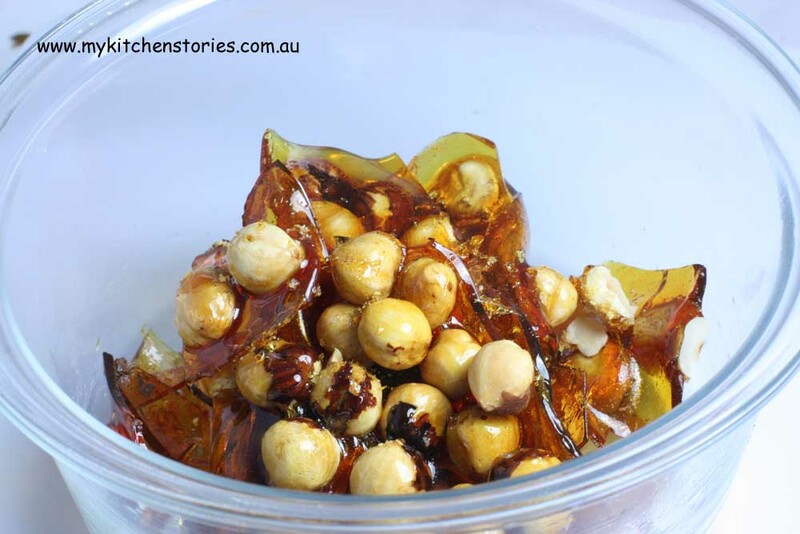 I’ve never tried making Hazelnut Praline but after reading your recipe I feel like I have to. Thank you for sharing!